Because HTC can never have enough One M9 variations, the HTC One ME9 (codename Hima Ace) is prepping for launch in the South Asia region – India, Hong Kong and Taiwan are "confirmed" by the rumor mill so far, while North America, Europe, the Middle East and Africa re ruled out. 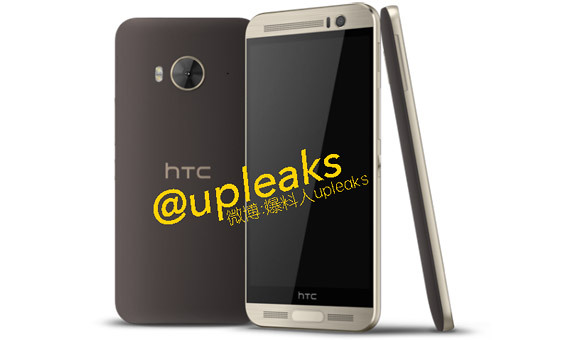 Leaks have built a fairly complete picture of the phone's specs, essentially a One M9+ but with a metal frame/polycarbonate back and no secondary camera on the back. The main camera still uses the 20MP Toshiba sensor, while the front camera will either use the 4MP UltraPixel sensor or a Desire Eye-like 13MP one. Also on the front are the 5.2" QHD screen and the fingerprint sensor that splits the lower grill of BoomSound stereo speakers. The HTC One ME9 will launch with Android 5.0 Lollipop and Sense 7.0. The phone will be powered by the same MediaTek MT6795 chipset as the One M9+, complete with 3GB of RAM and 32GB of expandable storage. A 2,900mAh battery will supply the juice. The One ME9 is expected in July in Classic Rose Gold, Gold Sepia and Meteor Gray colors at an estimated price of CNY 3,500 ($565). A DotView case should be available too. what's wrong with htc now? all these models off of the flagship? I guess they reached their prime last year and now it's time to go down. Too pricey for a "plasticized" version!! HTC One E8 made much more sense back then at CNY 2799.